Belgium is separated into three autonomous regions: Flanders, Wallonia and Brussels Capital Region. Each region will govern its own environment, housing, planning, economy, energy, agriculture, transport, foreign trade and public works. 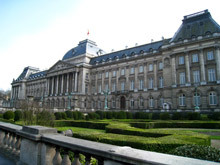 The Brussels Region and Flemish Region have their capitals in the City of Brussels. Brussels Region has about 1 million inhabitants in 19 communes. Each of these communes has its own government too. There is a mayor and cabinet for each commune that takes care of local schools, some roads, town planning, fire services, water supply and social work. When residents move from one commune to another, they must register in the new commune to receive a new resident’s card – these are not equivalent to identity cards, which are issued separately. Although it may seem the city is divided, you will not be able to see many differences between the communes because they are joined by one transport system and a host of other shared services. Take note of some common local laws in Brussels to help you along. Tipping – it is not customary to tip at restaurants because bills already include a service charge. Taxi drivers, hairdressers and other services also do not require service tips. Drinking age – the legal drinking age is 16 at bars (18 years for liquor with over 22% alcohol). Taxi stands – normally taxis wait at the taxi stands, you won’t find many taxis driving around waiting for people to flag them. You can wave a taxi if it’s more than 100 metres from a taxi stand. Driving – driving rules in Brussels may differ from your country. The right turn priority rule for example is universal on all roads except those marked with special signs. Getting Around in Brussels has more information. Cycling – cycle lanes are not as plentiful as in the Netherlands but they are there. Keep to the right and at least 1 metre from parked cars. Look up more information on cycling rules from www.velo.irisnet.be.